Pacific Rim College is committed to supporting the spread of sustainable holistic health practices. 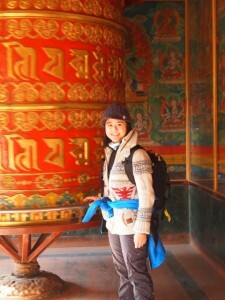 The Global Outreach Program (GOP) allows PRC students to complete clinical training in a variety of medical centres around the world – gaining valuable experience while helping others – and also provides support to clinics and groups through fundraising efforts, public exposure and the donation of medical supplies. GOP externships exist in Nepal, Uganda, China, Peru and Guatemala and other clinics and partnerships are being developed elsewhere. Acceptance to externship programs may be competitively based, and students must meet selection criteria unique to each program. Click on the links below to learn more about current outreach opportunities and ongoing and upcoming fundraising events. PRC has raised thousands of dollars for GOP clinics and, through needle drives, donated tens of thousands of acupuncture needles to free acupuncture clinics around the world. Additionally, PRC students and faculty log hundreds of volunteer hours at GOP clinics yearly. Healer2Healer is an international organization that brings volunteer alternative medicine practitioners – such as acupuncturists, Reiki practitioners, and medical massage therapists – to rural indigenous communities. H2H members are professionally licensed or certified alternative medicine practitioners and students, selected for their ability to work together as a small team of volunteers. 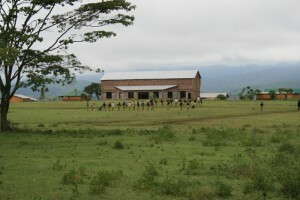 In the process they learn from each other, and from local healers. 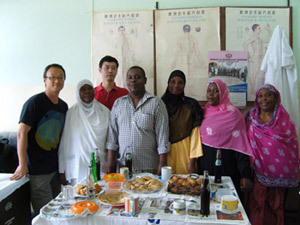 PRC Acupuncture students and alumni can complete clinical training in this government-run hospital in Stone Town, Zanzibar. Both short-term and long-term placements are available throughout the year. Common conditions treated are facial paralysis, malaria, filaria, HIV/AIDS, asthma, skin conditions, stroke and many more. The Global Acupuncture Project (GaP) is a pioneering initiative based in East Africa and Mexico that provides acupuncture training to local health care workers. Since 2003 GaAP has trained more than 150 health care workers to employ simple yet effective acupuncture techniques in the treatment of endemic conditions such as HIV/AIDS, malaria, malnutrition and tuberculosis. Those health care workers have in turn used their new skills to help thousands of Africans. Vajra Varahi Healthcare is a small charitable healthcare organisation based in Chapagaon, a village just outside Kathmandu in Nepal. The centre, which has been open since 2008, is situated next to Vajra Varahi Buddhist monastery and provides affordable healthcare in the traditions of Tibetan, Ayurvedic, Homeopathic and Traditional Chinese Medicine. The centre regularly hosts dental/medical/optical camps in the countryside and intends to conduct research on the efficacy of different indigenous therapies. PRC students wishing to volunteer can do so through the Acupuncture Relief Project. The Acupuncture Relief Project (ARP) is a free community acupuncture clinic that travels to countries that have been impacted by poverty, conflict or disaster. The Project gives practitioners an opportunity to gain valuable field experience while making a positive impact on foreign communities. During the 2008 project, ARP was able to provide over 5000 acupuncture treatments and had remarkable results in treating chronic pain, GI disorders and paralysis. Pacific Rim College has a clinical partnership with Liaoning University of Traditional Chinese Medicine in Shenyang, China. LNUTCM is one of China’s largest TCM universities and has an extensive network of hospitals and care facilities. Students will work in these health care facilities from 9am-5pm, Monday through Friday, and will be guided by appropriate mentors and translators. A housing option is available to students, although they are also permitted to arrange their own accommodations. PRC students who have met basic Global Outreach Program requirements are welcome and encouraged to partake in clinical training at LNUTCM. Interested students should contact the College administration for tuition rates and submit a completed a placement application. Year-round placement opportunities exist with no minimum stay required. The following clinical projects are not currently Global Outreach partners. 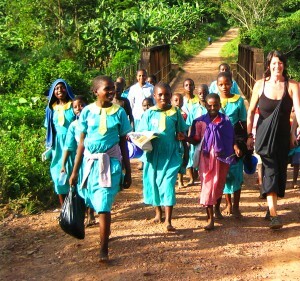 The aid that they provide local communities, however, is very impressive and worth highlighting. The Jambiani Wellness Centre is a multidisciplinary medical clinic that the Hands Across Borders Society opened in late 2002 to provide free health care to the villagers of Jambiani, Zanzibar. Since its inception the Wellness Centre has been host to over 40 volunteer practitioners from around the world, who have collectively treated more than 4000 villagers. The Flying Needle Project (FNP) was founded to provide complimentary alternative healthcare to the under-served HIV/AIDS infected population of South Africa. In 2009 FNP will open a free clinic in South Africa to help accomplish this ambitious goal. FNP will eventually invite acupuncturists from South Africa, the United States, Canada and the rest the world to offer services and participate in clinics. Currently there are no national or non-governmental organizations offering alternative health services to low income HIV infected populations in South Africa. Barefoot Acupuncturists is an association that was born in the slums of Bombay and the mountains of Kashmir in 2007. It is an independent, non-religious and non-political organization with aims to provide health care to underprivileged people through the use of acupuncture and local traditional medicine and to provide acupuncture training to their medical staff so that local dispensaries may become autonomous. Moxafrica is a charitable organisation set up in 2008 in the UK to investigate the use of moxibustion therapy for the treatment of tuberculosis. Moxa is a herbal preparation made from the leaves of the mugwort plant (Artemisia spp.). The brief smouldering of tiny pieces of moxa against the skin is called direct moxibustion and has been used in oriental medicine for centuries, both in conjunction with acupuncture treatment and on its own Therapeutically it is known to have positive effects on blood circulation and to enhance the immune system. Muskan Viklang Trust (MVT) is dedicated to helping the handicapped residents of Bihar, the poorest and most underdeveloped State in India. Translated into English from Hindi, Muskan Viklang means “Let the disabled smile”, and MVT uses acupuncture, acupressure, physiotherapy and plaster stretching to accomplish this goal. With a presence in 14 different villages, MVT practitioners travel by motorbike to each village to provide free services once or twice weekly. Patients typically are left disabled by diseases and conditions such as polio, cerebral palsy, meningitis, muscular dystrophy and stroke. 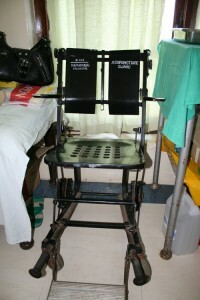 Between 30 and 100 patients are treated daily.